If you’re into fishing at any level, the chances are you’ve seen or read Al’s work. Al’s audience stretches around the world. 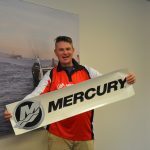 He’s currently producing the TV Series Al McGlashan’s Fish’n with Mates for Channel Nine, which is the number one rating fishing show in Australia and also airs in NZ and to millions of households across the USA. He has a global social media following of well over 100,000. 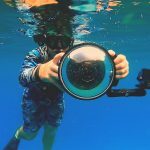 He writes and provides photography to dozens of magazines such as Modern Fishing, Club Marine Magazine and Bluewater Magazine and has a weekly article every Friday in Sydney’s Daily Telegraph with his articles republished online. 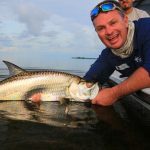 He’s written several books including The Complete Fishing Bible and works tirelessly with regular fishing seminars and school visits. The first thing Al’s going to do with his new Verado is go after some swordfish for the US cable network the Outdoor Channel, hoping to tag a couple for research purposes.